PowerMax Energy’s history is about entrepreneurship, efficiency, excellence and growth in newly deregulated energy markets. To keep up with current technology and marketing trends PowerMax Energy appoints Wendy Merritt as Vice President of Marketing and Technology. Increasing our office efficiency is lead by newly appointed PowerMax Energy Office Manager, Kim Devrow. To improve growth, client relations and IBO growth PowerMax Energy President, Bryan Merritt, is appointed as President and CEO. PowerMax Energy negotiates fresh deals with several new and existing REP’s to further expand the income potential for our IBO’s in both the residential and commercial client markets. PowerMax Energy is now actively involved in the energy market in the New England states. 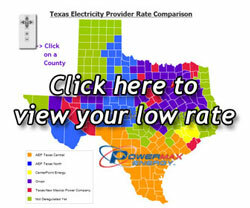 PowerMax Energy negotiates new contracts with new REP’s in the Texas Electricity market. PowerMax Energy moves into a freshly remodeled new office space in Ennis, Texas. PowerMax Energy moves into the newly deregulated Illinois, Maryland, Ohio Electricity and Natural Gas markets by opening offices in Maryland and Illinois. PowerMax Energy opens a new office in Ennis, Texas. PowerMax Energy partners with Dani Johnson for excellence in training our IBO’s to effectively market their business in their every day lives. PowerMax Energy signs and unprecedented deal with Strategic Energy allowing our consults to ink five year commercial contracts with upfront commissions. PowerMax Energy starts as the first Multi-Level Marketing company based in the newly deregulated Texas electricity and natural gas market. PowerMax Energy works to expand an aggregate pool of local Texas churches to get them the cheapest electricity rate possible. PowerMax Energy appoints its first officers: Bryan Merritt, Founder/President and Tyler Adkins, Vice President/CEO.